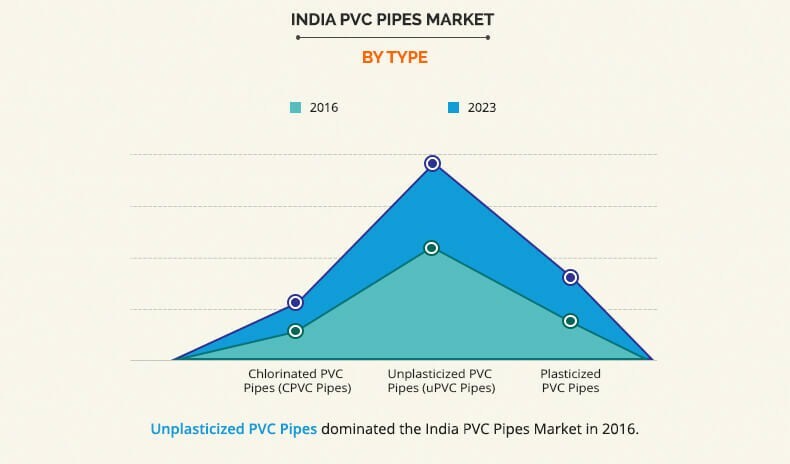 The India PVC Pipes Market size was valued at $3,159 million in 2016 and is anticipated to expand at a CAGR of 10.2% to reach $6,224 million by 2023. Polyvinyl chloride (PVC) is the third largest selling plastic commodity after polyethylene & polypropylene. 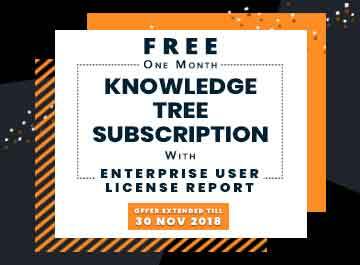 It is beneficial over other materials, owing to its chemical resistance, durability, low cost, recyclability, and others; thus, it can replace wood, metal, concrete, and clay in different applications. PVC pipes are manufactured by extrusion method in a variety of dimensions such as solid wall or cellular core construction. They are corrosion resistant, cost-effective, flame resistant, easy to install & handle, and environmentally sound, with long service life. 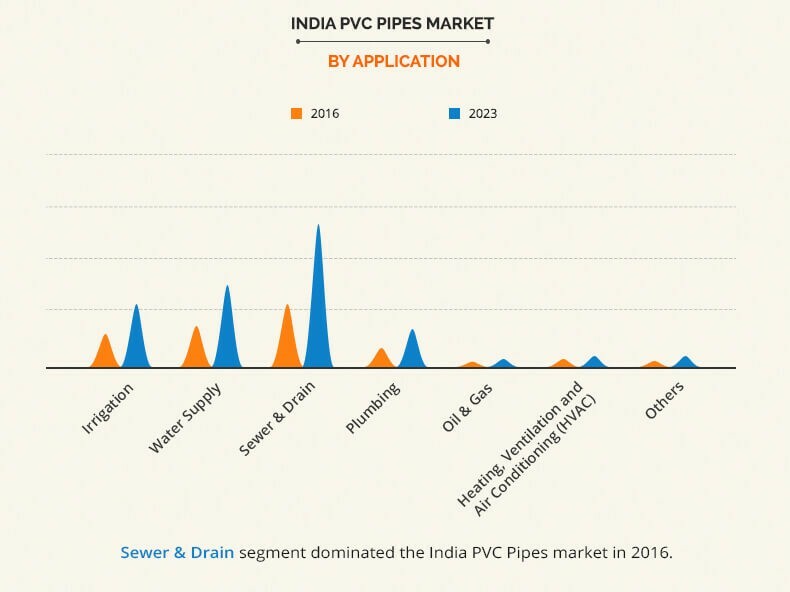 Upsurge in the demand for pipes in the irrigation sector and building & construction industry is the major driving factor for India PVC pipes market. Moreover, increased focus of government on rural water management supports the demand for PVC pipes in India. 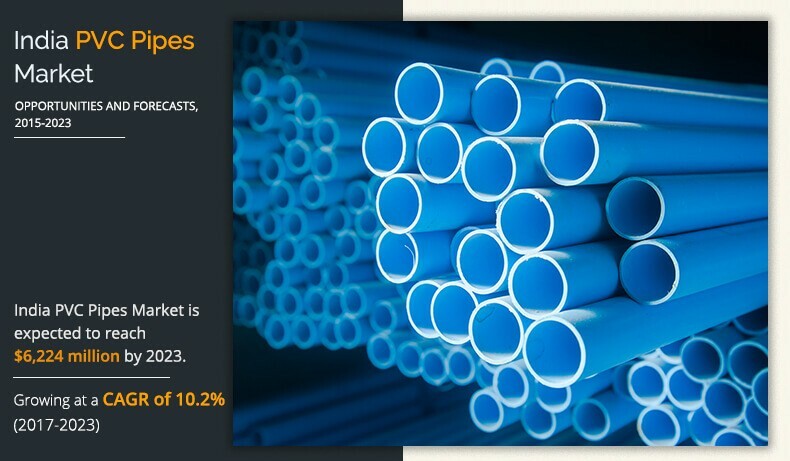 However, availability of substitutes such as HDPE & ABS hampers the growth of the India PVC pipes market. In addition, toxicity of PVC pipes restricts the market growth. Conversely, rise in awareness towards clean water supply in rural areas and increase in investment in the developing regions of the country are anticipated to offer growth opportunities for the market. PVC pipes are applicable in drain-waste-vent (DWV), sewers, water mains, water service lines, irrigation, conduit, and various industrial installations. This report focuses on India polyvinyl chloride (PVC) pipes market by type, which includes chlorinated, unplasticized, and plasticized PVC pipes. Moreover, PVC pipes market analysis includes different type of materials such as PVC resin, stabilizers, plasticizers, lubricants, pigment base, and others. With respect to applications, sewer & drain is the most lucrative segment, followed by water supply, irrigation, plumbing, and others. Significant demand for PVC pipes in various industries and development of infrastructure in the emerging economies are expected to drive the market growth. EPA, REACH, and other regulatory bodies have implemented guidelines for use of PVC material in various industries to control and safeguard the interest of consumers. East India is the major region to drive the demand for PVC pipe products, owing to abundant cultivation of tea. Chlorinated PVC pipes (CPVC) is projected to be the dominant segment during the forecast period, owing to their superior properties such as usefulness in handling corrosive fluids at temperature range up to 210°F and low thermal conductivity. They serve the same application as other PVC pipes, but are majorly preferred for high-temperature applications. CPVC pipes can be joined using solvent welding, threading, or flanging. East India is popularly known for tea cultivation, which requires significant water supply, which boosts the demand for PVC pipes, as they are used to irrigate tea plantations. Steady growth in urbanization in the Eastern region is further expected increase the demand for PVC pipes. Moreover, the development in infrastructure is anticipated to surge the demand for PVC pipes in the region. 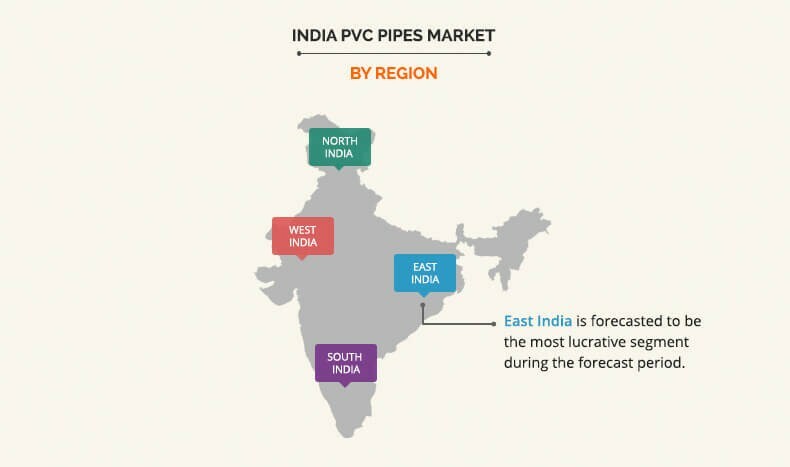 The key players operating in the India PVC pipes market are Aashirvad Pipes, Supreme Pipes, Astral Pipes, Finolex Industries Ltd., Prince Piping System, Ori-plast, Utkarsh India, Dutron Group, Kankai Pipes, and Captain Pipes. Other major players (not profiled in report) are Mexichem, Radius Systems Ltd., National Pipes & Plastics, Georg Fischer Ltd., REHAU, Uponor, Astral Pipes, Yonggao Co., Ltd., Vinidex Pty Ltd, COEMAC, and Adequa Water Solutions, S.A.
Extensive market analysis predicts the types, applications, and materials that are currently used along with the variants that would gain prominence in the future. Key players are profiled and their strategies are analyzed thoroughly, which portray the competitive market outlook. 9.8. Prince Pipes and Fittings Ltd. The conventional metal pipe systems are being replaced by PVC pipes, owing to their chemical resistance, durability, rust or rot resistant, and enhanced shelf life. These factors make them suitable for sewer lines, water systems, and underground wirings. Thus, the sewer & drain segment accounted for the highest share, occupying more than 35% of the India market, and is expected to grow at the fastest rate, owing to upsurge in urbanization and development in rural areas. PVC pipes are available in three forms, chlorinated, unplasticized, and plasticized. Unplasticized form is the most widely used type, covering more than half of the market share of PVC pipes. The major factor responsible for high demand in North India is renewal of piping systems in cities such as Chandigarh, Haryana, Uttar Pradesh, and New Delhi. The East India PVC pipes market provides numerous opportunities for growth, owing to enormous tea cultivation activities in Assam, Darjeeling, and Kurseong. In addition, the development initiatives taken by various government for rural area advancement such as clean & wastewater management is expected to fuel the adoption of PVC pipes.